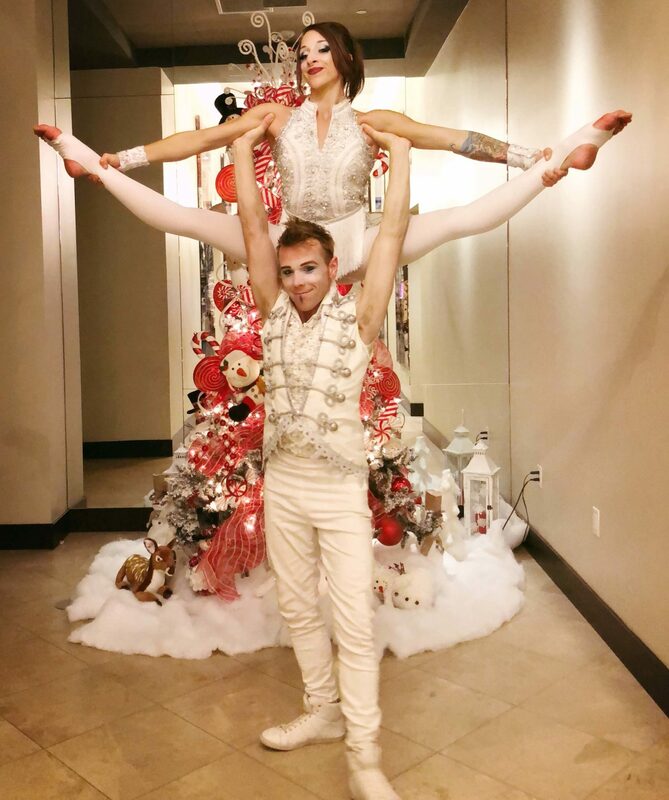 CirqueSanity designs Holiday acts and mini-shows to fit your Seasonal events! From Winter Wonderland, Santas Christmas Elves, The Nutcracker Mice and More! Designed to fly through the air, twirl into the holidays with us down on Candy Cane lane with our Original creation, our high flying aerial Candy Cane Act! Have a Vision for the Season? We love to Collaborate to make it come to life.